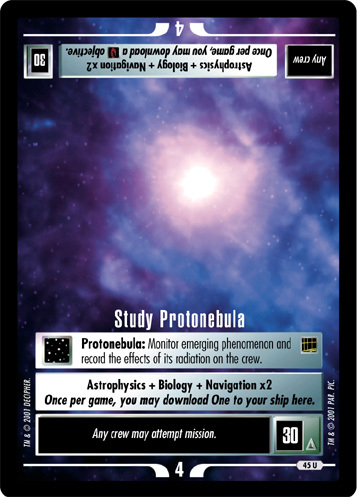 Protonebula: Monitor emerging phenomenon and record the effects of its radiation on the crew. 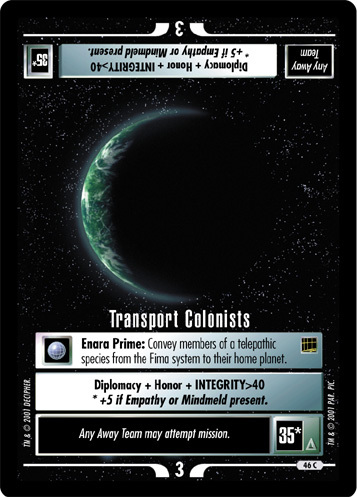 Once per game, you may download One to your ship here. 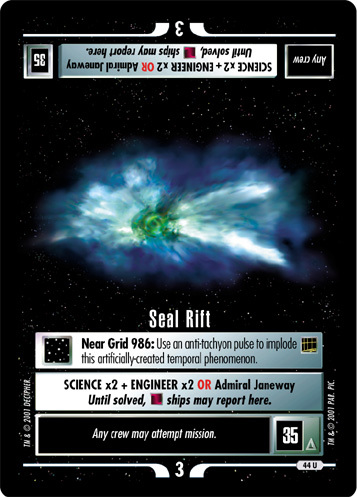 Once per game, you may download a objective.